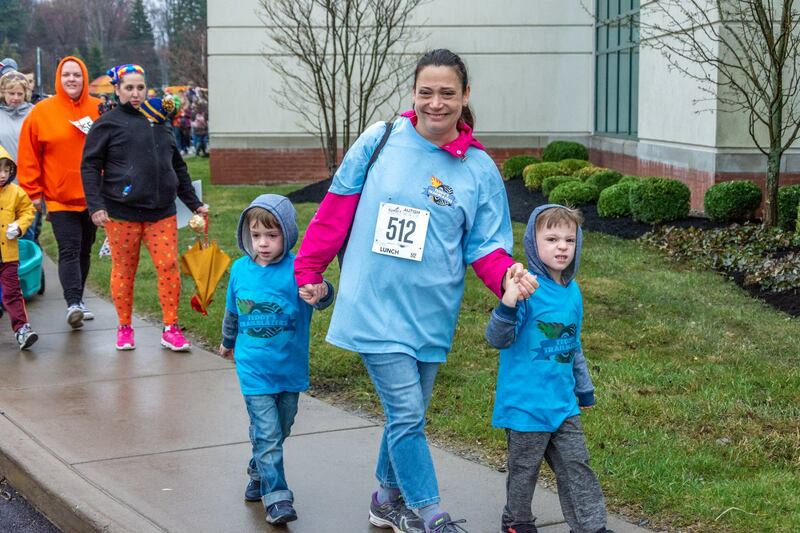 On Saturday, April 27, The Summit Center will hold its 20th Autism Walk to benefit children with autism and other related developmental, social, and behavioral challenges. As Summit’s largest fundraiser, the Autism Walk annually draws 2,500 participants and has raised more than two million dollars to benefit critical programs and services! We hope you will join us this year in celebration of our 20th Autism Walk! Since the Walk began, the event has positively impacted so many families that are affected by autism. With your support, we can continue to raise crucial funds to benefit critical programs and services. The event has a long route (150 Stahl Road) along the Amherst Bike Path, and back to Summit or a short route around Summit’s grounds, which is great for families. The post-walk picnic will feature food, beverages, children’s activities, and live entertainment. To better serve our families, Summit Behavior Support Staff will be on-site for Walk Day. Please join us for this uplifting and fun-filled day! Please do NOT bring any animals or pets on this Walk. Many of our students are sensitive to animals.